This is not your average business podcast. James Altucher interviews the world’s leading peak performers in every area of life. But instead of giving you the typical success story, James digs deeper to find the “Choose Yourself” story—these are the moments we relate to…. when someone rises up from personal struggle to reinvent themselves. 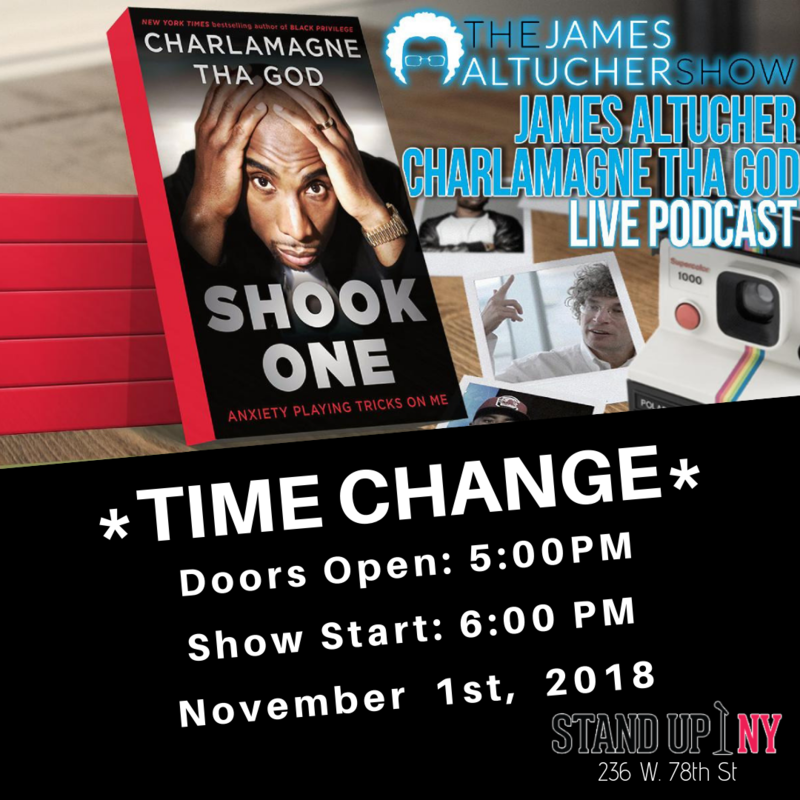 The James Altucher Show brings you into the lives of peak-performers, billionaires, best-selling authors, writers, rappers, astronauts and more, all who forged their own paths, found financial freedom, and harnessed the power to create more meaningful and fulfilling lives. Charlamagne began his radio career as an intern in South Carolina. He gained popularity with his unique, upfront style of questioning the well-known Hip Hop and R&B artists. After leaving the show, he joined the DJ Envy and Angela Yee for the Power 105.1 show ‘The Breakfast Club’. He was also cast in the MTV2 television comedy show ‘Guy Code’. He also co-presented MTV New Year’s Live from Times Square at the end of 2013 and 2014. He was also a part of MTV Video Music Awards pre-show in 2015. He had also released his album ‘South Crack: The Album’ in 2008. He has been hosting ‘Uncommon Sense with Charlamagne tha God’ on MTV2. He has also appeared as the narrator in the show ‘Inside the Label’ on BET. He has appeared on other television shows like ‘Wild ‘N Out’, ‘Guy Court’, and ‘Empire’. He has also released his book ‘Black Privilege’ in 2017, which was ranked as one of the best-selling hardback non-fiction of the year by New York Times.